Starwood Hotels & Resorts Worldwide, Inc. announced on Thursday that its Aloft brand will soon expand its reach to Secaucus, New Jersey. Aloft Secaucus — owned by Sun Development and Management — will open in mid-2016 within the Plaza at Harmon Meadow, featuring 172 spacious, loft-like rooms, leading-edge technology and a lively, social atmosphere. Just six miles from midtown Manhattan, Aloft Secaucus will be walking distance to all the shops, restaurants and businesses in the Plaza at Harmon Meadow mixed-use complex, including the Meadowlands Exposition Center and the Mall at Mill Creek. The eight-story hotel will be close to local restaurants and leading attractions, including the Meadowlands Entertainment Complex, which houses MetLife Stadium (home of the New York Jets and New York Giants), the IZOD Center and the site of the American Dream Meadowlands Mall and Complex (opening in late 2015). A 20-minute drive from Newark International Airport (EWR), the new Aloft hotel will also include 3,000 square feet of state-of-the-art meeting space, an indoor splash pool and a fitness center. 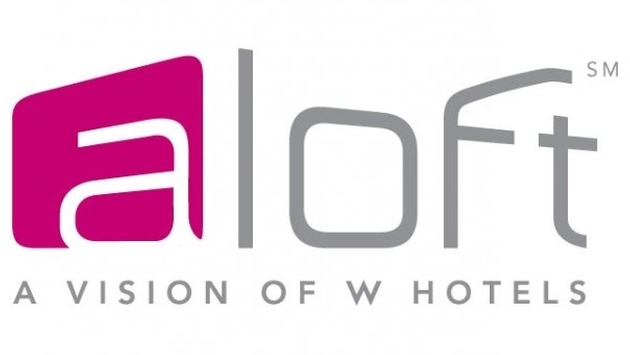 Aloft’s has recently rolled out several innovative initiatives. Aloft is now including Smart Check In — the first mobile check-in using RFID technology — at select properties, allowing guests to use their smart phone to check in and open their guest room door. In addition, Aloft formed an exclusive partnership with Design Within Reach (DWR) to outfit the public spaces of the hotels, and its W XYZ bars offer live, free access to local emerging artists as well as some of the hottest bands in the country through the brand’s Live at Aloft Hotels concert series.